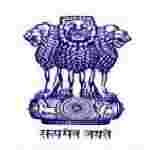 UPSC recruitment 2017 notification has been released on official website www.upsc.gov.in for the recruitment of total 23 (twenty three) jobs out of which 13 (thirteen) vacancies for Assistant Professor, 02 (two) for Specialist Grade III & Various vacancies. Job seekers should apply on or before 28th December 2017. Educational Qualification: Bachelor of Engineering/Bachelor of Technology and Master of Engineering/Master of Technology in relevant Engineering with First Class or equivalent either in Bachelor of Engineering/Bachelor of Technology or Master of Engineering/Master of Technology from a recognized University for S.no-1. A recognized MBBS degree qualification included in the First Schedule or second Schedule or part II of the Third schedule (other than licentiate qualifications) to the Indian Medical Council Act, 1956 (102 of 1956) for S.no – 2. Age Limit: The age of candidate should be between 35 years for S.no-1 & 40 years for S.no-2 as on 14.12.2017. Fee charges: Applicants who wanted to participate for UPSC should pay the below charges through either by remitting the money in any branch of the SBI by cash or by using net banking facility of the SBI or by using visa/master credit/debit card. Interested and eligible aspirants should apply online through the website www.upsconline.nic.in on or before 28.12.2017.